CitiCard helps you to access domestic financial services provided by Citibank retail banking and the Citigroup family of companies. Common issues with CitCard relate to Banking Services, Credit cards, Lending, Investing and Business. They typically serve larger companies whose sales are up to $5 Million, $10 Million and $20 Million. Citi also provides higher level of banking, wealth management and financial planning through Citigold. The multiple services that Citi offer are Online Banking, Mobile and Tablet Banking, Text Banking and Global Client Banking. Other Banking services include Account Alerts, Auto Save, Inter-Institutions Transfers, Online Bill Payments, Citi Financial Tools and Citi with Apply Pay. If you need to mail the corporate office, their headquarters is located in South Dakota at P.O. Box 6500 Sioux Falls, SD 57117. If you have a problem with CitiCard, the customer service number is 1-800-347-4934. It is avaialable 24 hours a day online for your convienence. I paid 1:950 to settle my balance to Home Depot revolving business card offed by Citibank . I was only credited 1.000 and Citibank is demanding the 950.00 how do you only cash half a check ? I have documentation from my bank as the The 1.950 was fully paid. I have tried endless times to solve this with Citibank, and are completely uncooperative. I have all original documentation to validate my case. A balance transfer check from Elan credit cards/Rabobank was payable to and sent to Citibank for my customer in error in the amount of $7500.00. The check was payable The check was cashed and we are trying to have these funds returned to us. I have attempted many times to locate where you credited the $7500.00 to including faxing Payment Investigation last week. I haven't heard back and would expect a call or email regarding this issue. I will give further information via phone call. 805-339-0970 Rabobank California. I have been with you for may years! For THE FIRST TIME yesterday I could not open my account! I have used THE same password for years! For tow days I spent HOURS talking to several agents in C. card departments! sadly and unfortunately after spending hours talking to three different agents on line they could NOT help me, and still I can NOT get to my account!!! I am a physician and need my time!!! I sincerely hope you help me as soon as possible. My card expired in November so I waited for my replacement card that never came. I contacted them in December to send a replacement card when I got a letter in the mail saying I still had not activated my new card (kind of hard to do when they don't send you one...). I requested a new card through the app via an option that said, "card did not arrive". January comes around, still no card. I requested another one that the rep said would be there within 7-10 business days. Mind you, I get junk mail from them all the time or new offers for cards so clearly my address is correct (I verified my address twice during this process just to be safe). Finally, getting angry because I actually want to use my card, I contacted customer service AGAIN but this time during a chat so I could have written proof of the date I requested the card. The rep was nice and said they would expedite my card (5 times the charm?). It FINALLY arrived via FedEx a few days later so I called and activated the card and all was great until I tried to use it where it got declined. I have thousands of dollars available on my account at the time since I have not been able to use it since November! I called the support line on the back of the card FOUR different times because the voice prompts were so terrible they would not work and kept hanging up on me. I finally made it through their terrible automated issues and reached a human. He was extremely rude. He put me on hold a bunch of times which I get can happen when working out an issue but finally he came back and said the issue was with my card was that it was not activated... I said, "so when I called and activated it 30 minutes ago and you guys said, your card is now active...". His response, "well ma'am clearly it was not". Silence. I said,"... sooo can you activate it now then?" He said it was active after that and I asked if he could tell me what happened. He said the same thing, "the card was not active". Yes, I gathered that, but why not? "The card was not activated". Hmm, it must be the way I am wording my question, right? Wrong. "I heard what you said but I am asking why it did not activate when it said, "your card has now been activated, can you not tell me that?" "I cannot tell you why the card was not activated but it was not activated". Good grief. So I followed up with, "okay, well how do I know if it is actually activated now since last time it said it was and got declined?" His response, "because the card is activated now". I am seriously losing my mind and decide to just say thanks and hang up before I got even more irritated. So, I go try to use it again and can you guess what happened? Shocker, the card was declined. OH MY GOSH. I called again and waited on hold for 20 minutes before I gave up and called it a day. So now, 3 months, 5th attempt to get a card 6 calls to customer service later, another adventure with another rep except this lady was very nice. I told her what happened and she told me within probably 1 minute that the card I was sent was something to the effect of "a plastics card". She had a thick accent and I could not totally understand what she said even with repeating it but basically the card I was sent could NEVER be activated. Almost like a display card. It never had the capabilities to be activated. So after all of that they sent me a card that I could never even use?! And the gal was able to tell me that in about a minute vs the first guy who was stuck on repeat and not actually doing his job. I have great history with this account and used to talk about this card to friends all the time and now I am just trying to find a reason to keep my account open with them because of what a let down this has been. This is my main travel card for work and I have not been able to use it for months. I can't redeem my cash back rewards that I have worked to earn because one needs an ATCTIVE card to do so. So here we are, another annoying day battling this card company and I still no not have a working card... Completely ridiculous. On 1 November 2018 Edward Williams and Ian Richards were appointed joint administrators of Kyen Resources UK Limited. On appointment we emailed Ranjeet Kapur and Sean Mcchesney a copy of our standard letter regarding appointment enclosing the notice of appointment and attempted to contact them by phone to request the accounts be frozen. On the 2nd November I had success in reaching Joanne Preston who confirmed the accounts had been frozen. From that point I was advised to liaise with Zanna Grabianowska to arrange transferring the balances held to the administrators account and closing the accounts. We were advised that on receipt of our standard letter the transfer of funds held would be made and would take about a week. Despite already having our standard letter and appointment docs from 1 November , on the 19th November I was informed that payment could not be made until Citibank received a certified copy of Edward Williams ID which was posted and emailed on 21 November 2018. I have attempted to call Zanna but on most occasions when I call to chase matters up my call are not answered. It is now 13 December 2018 and I have been informed that it has now been progressed to the Insolvency Team and Closure teams and they each need to process the closure of the accounts before any funds can be transferred. We are extremely disappointed in the timescale that it is taking for Citibank to process the transfer of funds and the lack of response. I am very surprised at Citi bank continuous reduction of my credit card limit and the constant remark is it is based on Equifax report and the said Equifax wants me to subscribe a payment to see the report which is incorrect as there indicated some issues over three months ago which I admitted was a oversight on my behalf when I went on vacation figuring the payments was automatically set up. To date I have lost over 1500 of payment to my Citi card after several deposits in an attempt to lower my Citi card amount and continuously has been reduced. PS I'll strongly consider withdrawing from further Citi payment in the future for I believe it gonna constantly take my cash due to its availability. Regards Unsatisfied customer this Citi band card is the only card giving me a problem as compared to the others. I'll forward the latest email from Equifax report with respect to the issues if required, PS Only Equifax has an issue but TransUnion doesn't. Infact its indicating my credit score has increased and all payment on time plus balances under 50%. I called Citi Card Service at 1855-378-6467 today regarding my dispute with citi card ending 4797. I opened the dispute 03/09/18 and Citi dispute department requested me to send my dispute in writing. So I drafted a dispute letter and the letter was received by Citi dispute department on March 21th, 2018. And I waited and waited for the response from CIti Services, but neither email or letter received for the dispute. I called today at the 1855-378-6467 to question why I have not received anything for my dispute. I was transferred to the dispute department and the girl called Alishia said the dispute was too old to process. She was not nice with strong attitute. I asked to talk to her manager and she put me on hold for a very long time and transferred me to someone called Regina/Account Manager. I explained my situation and asked why I have not received anything from Citi Services. She said Citi sent email. I asked her to resend the email and letter. She tried to make it difficult and said I was not the prime holder of the account. I said that I was the card holder and the disputed charge was on my card and my account. She was rude and I felt like I was treated like an enemy. She gave me strong attitude like I have done anything wrong for trying to dispute the charge. My question is why Citi service even asked me to drafted a letter if the charge was too old to file a dispute? My husband and I used citi services for about 20 years and we both have excellent credits and we have never been treated like this before. If Citi group can not find qualified employees, we could transfer all our services to other bank since we don't want to be treated with no respect. I ordered a couch from 1stopbedrooms. Did not receive the merchandise for a period of 6 weeks. With no advance notice on a Friday night (9pm) i received a phone call from a delivery man that he was out side my home with the couch. First this is not acceptable for a number of reasons ,privacy, prior engagements , guest. That said my biggest complaint was that i was 350 miles from home.Never hearing from them again was fine except that the following month i was billed by citi for the full price. I have spoken with 3 different people at 3 different times .Twice i have sent forms and keep getting we need a cancellation notice. OH really and then pay restocking. I dont think so. The shopping and banking have been very poor. I would like both of you to leave me alone so i may proceed with new companies. On Sept. 30th I filled out on the internet site a form that showed I was traveling to Washington State from Oct. 6th thru Oct 18th. I received confirmation from Citi that was they received it. When we arrived in Spokane, Wa and tried to pick-up our rental car Citicard put a fraud alert on the card. As a result I switched cards and was embarrassed to have that happen. I will cancel the card when we get home and not use them again. Dirty rats must run the place. We purchased a drop-in range from Sears on July 11, 2016. When it was delivered we were told by the installer that the new range was too large for the opening. We were also told to return the range and purchase slide-in and he would install it. He also installed a range hood and took away the old range and hood. All of the CitiCard charges with the exception of the hood, the install and the removal of the old stove were to be taken off our charge. I received the statement and there is a $400.00 plus discrepancy in my charge. I called the CitiCard and was told we would have to talk to Sears. We went to Sears and were told we need to talk to the installer. Meanwhile the charge is due and if I do not pay it there will be a finance charge. Sears customer service stinks. All they do is pass the buck. 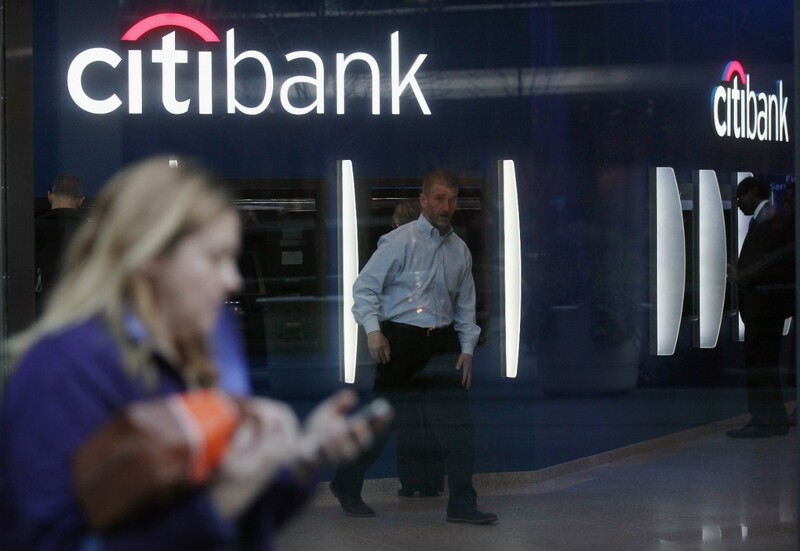 I will pay what I owe to Citibank support but no one can explain the difference to me. I plan to write to the corporate office but judging from my experience thus far I'm not expecting much of a result. I had a complaint and tried almost every phone number I could for CitiCard to make a late payment. Maybe you can have better luck with these number than I did. Hopefully one of these will work for your CitiCard complaint. They certainly did not for me. I called CitiCard headquarters with a billing problem to ask if a purchase i made would be on this months statement. The rep. answered my question. An hour later I tried to make a purchase using my card and it was denied. I called customer service and the rep. again said that I closed my account and was moving out of the country. The rep listened to my recorded call and agreed that i made no such statement! He said i would have to reapply for a new card (which will drop my score). I have worked very hard to achieve a great credit score! Why would someone deliberately sabotage my credit? It's been 72 hrs and i'm still waiting for a supervisor to contact me. I have been using Citi Card for more than 2 years now. I get good discounts on purchases made and points keep getting added to my card. Citi Card is doing a good job in keeping me posted on my payments and due dates so that I do not have to worry about the date. 7 days prior to the due date I get a message alert too on my phone so that I can make a payment. Once the payment is made I get a confirmation so that I know my money is going into the right account. Cashback options are great on certain deals. This is easily one of the best cards I have owned. No annual fees and good reward points. I have been using this card since last one year. No problem faced up till now. Good customer care. Glad to have Citibank credit card. CitiCard has easy deals but the customer service number is very rude and their new policies are aimed against frustrated customers.